We believe that houses are meant to become homes, creating a better living space that contribute towards its occupants' happiness. 1.6 billion people live in below standard housing conditions across the globe. Our goal is to bring that number down. 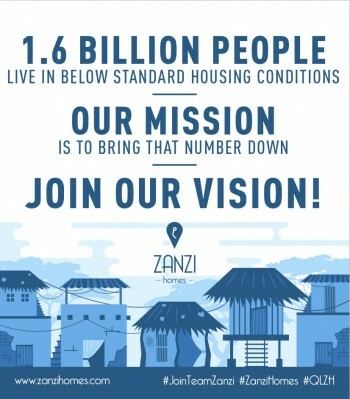 The QLZH Foundation's long term vision is to improve or build a new house in Africa for everyone sold in Malta. We believe that the environment has been heavily neglected and a long term plan is required to rectify and sustain a greener future. Years of neglect and incorrect planning has led to an unsustainable environment. Apart from planting trees, the QLZH Foundation wants to ensure nature is preserved and self-sustainable over the decades to come. In collaboration with the NGO ACT. Environment, the QLZH Foundation plans to afforest a million trees over a period of ten years. ACT. Environment will be supplying the ecological and social science academic knowledge for the project. We believe that an engaging and comfortable educational environment enriches the experience for students, increasing the chances of their success. 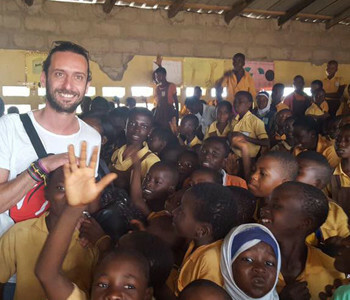 Following our trip to Ghana in 2017 where the QLZH Group supplied internet access to a school and its community, we toured two schools and were motivated to return back with plans to build a school. In 2018, the QLZH Foundation commissions studies to understand the feasibility and budget requirements to make this dream a reality. We believe that the progress of the real estate industry must be balanced by the preservation of the environment. 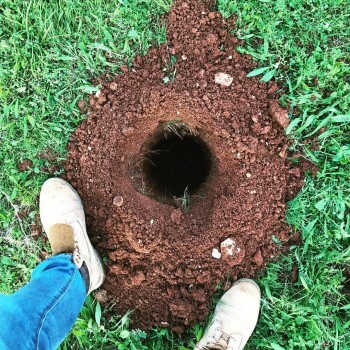 The QLZH Foundation has pledged to plant an indigenous tree in Malta for every property sold through Zanzi Homes. Since the beginning of 2017, we have so far planted or distributed over 800 trees. 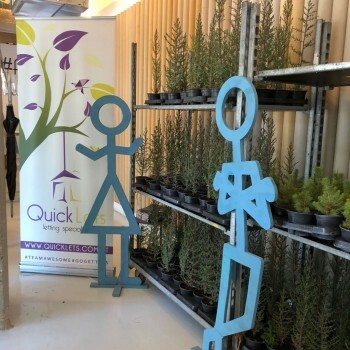 We have planted these trees on public land in collaboration with local councils, private residences and primary schools. We believe that the future of our planet is dependent on the supply of quality education to the younger generations. QuickLets is the largest letting agency on the island. We rent an average of twelve properties a day. 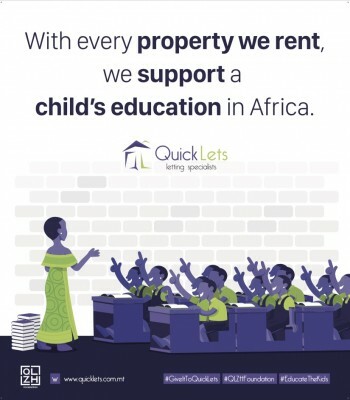 At the beginning of 2018, following the success achieved by QuickLets over the last five years, we decided to mark this achievement by sponsoring the education of a child in Africa for every property we rent in Malta. In Ghana, the QLZH Group donated 500 books to be used by hundreds of students in the coming years.